Even though I love crab and lobster meat, I’ve never been a big fan of eating either straight from the shell. The whole business of cracking and shucking, slurping and mess-making just doesn’t appeal to me, especially since I’ve always felt that crustaceans are basically insects of the sea (and might I remind you, I don’t do bugs). But while I was in the seaside town of Kep in Cambodia last month, I put all of that aside and had one of the best meals of my whole trip. Part of me going to Cambodia was to venture out of my comfort zone, and with a seafood cracker in hand and slippery bits of crab all over the place, I was definitely there. During my stay in the sleepy riverside city of Kampot, a place famous for its pepper production, (fun fact: all of the pepper in Cambodia comes from Kampot… or so I was told. Fact check if you will.) 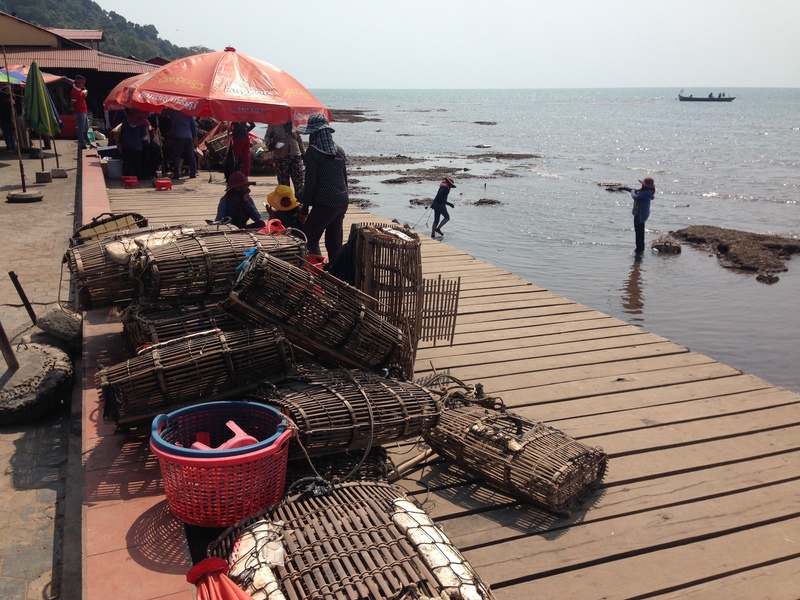 I took a day trip to Kep, which happens to be famous for its crab market. Located right at the water’s edge, the Kep crab market is both a large open air market selling heaps of crabs and other seafood, and a collection of small restaurants that prepare the crab to be eaten right then and there. My guide for the day, a funny little tuk tuk driver I hired to show me around, brought me to Kimly Seafood Restaurant, what he said was his go-to spot for cheap and delicious crab. I asked him what he thought was the thing to get and without a moment’s hesitation he said the fried crab in Kampot pepper sauce. He opted for the boiled crab, instead, which came out in all its freaky, underwater bug glory. Both plates came out we each attacked our foods, one of us successfully and with all the finesse of a seasoned pro and one of us like a hot, wasteful mess. 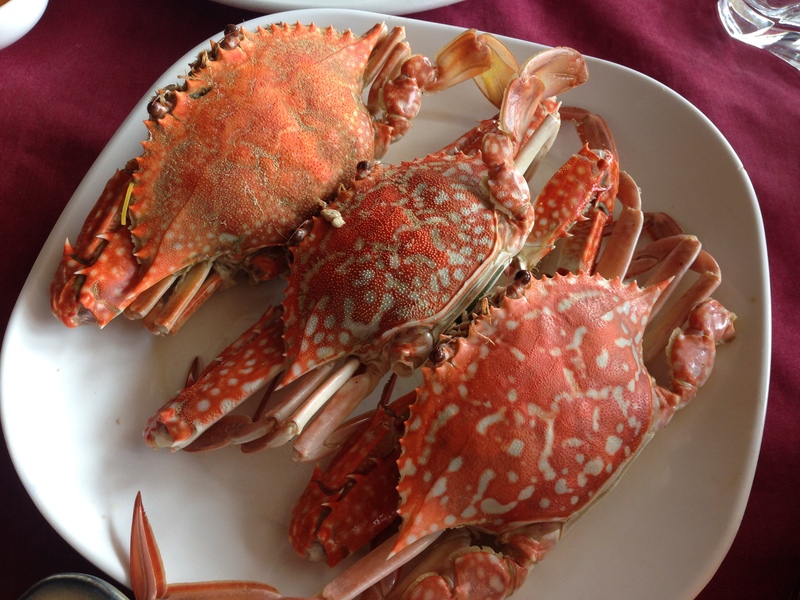 I don’t need to tell you who was who, but I’ll add this much: my guide turned parent when he had to crack all my crab for me, pulling out chunks of tender crab meat and tossing the empty shells aside, like I was big, dumb child. 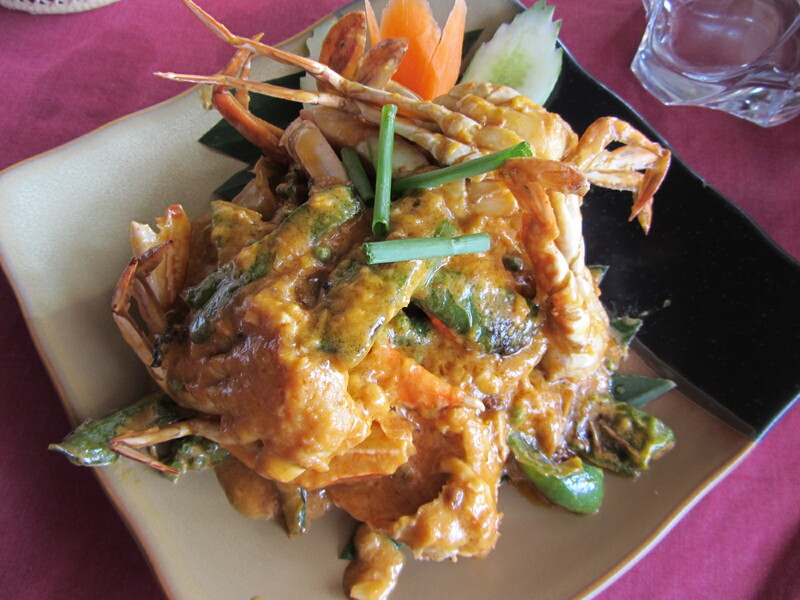 The Kampot pepper sauce was creamy, and spicy, and a perfect match to the soft, sweet crab meat. It ended up almost up to my elbows, all over my face and on a thousand and one napkins littered across the table. It was an absolute mess but every bit as delicious as it was sloppy.